Hello everyone. 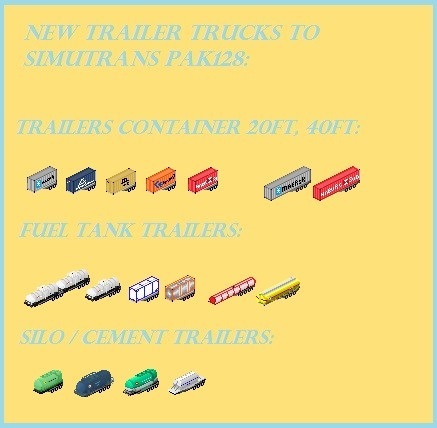 recently did some trailers for trucks to pak128. first. containers of actual companies 20 ft and 40 ft.
_ Take into account that Sun brights from the south, so the southern sides of your trailers should be brighter than the eastern sides. _ Letters written on the sides could be smoothened, here it appears pixelated (in general, you should try to do some kind of anti-aliasing). The two other pictures don't look very nice. If you made them after a real example, could you put here some pictures of them ? Anyway, the biggest problem in these is the contrast between live colors (super red like #FF0000, super blue like #0000FF, and so on ...) and complete white (#FFFFFF). One should never use extreme colors like these, except reproducing specular lights (reflects of the sun on a shiny surface for instance). Thank you for advice and for the compliments! I have great difficulty selecting colors with the right brightness. 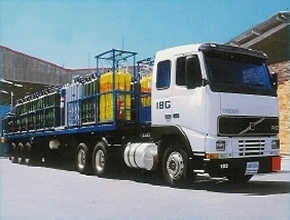 The images of trailers of chemicals, these trailers are a chemicals company that is here in my city. I have no photos of these trailers, but searched the internet and found something similar. Sometimes it is hard to know exactly what colour something should be. What I tend to do is bring a picture of the real item in to my paint program and pull the colour to see what it actually is. While the first picture's container is certainly white in the picture, if you pull it in to your paint program it will come in as grey, nearly balanced between R G and B, at around 70-75% intensity. The blue is around 60% intensity. 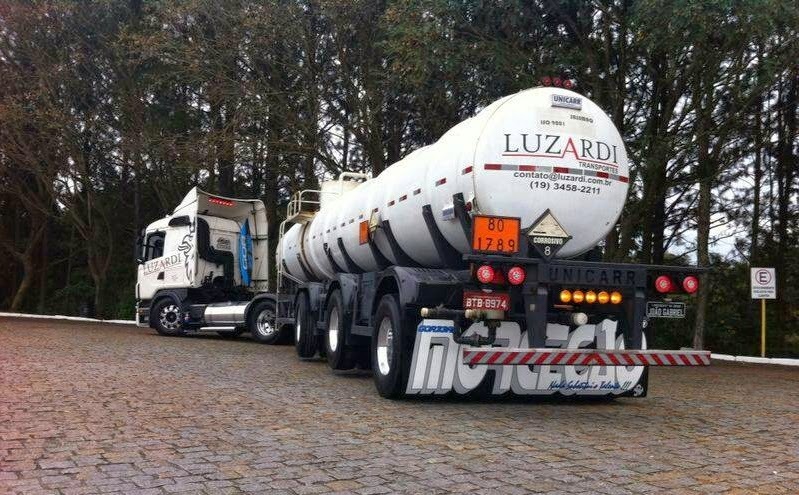 In the second picture of the truck and trailer, the white tanker is oversaturated in the picture and comes out almost pure white. Adding the shading to the east side will help a lot... and the south should also be slightly less bright than the top part. Another way of choosing well a color before drawing your graphics is to try them directly on a screenshot from the game, so you immediately see if the color will look good in game or not. Anyway, as general advise, refrain from using extreme colors. Even if a color looks bright in a real context, it's not as bright as your brain considers it (I don't know if my explanation is very clear ... hard to find the good words :/ ), so you have to "soften" them in your graphics. 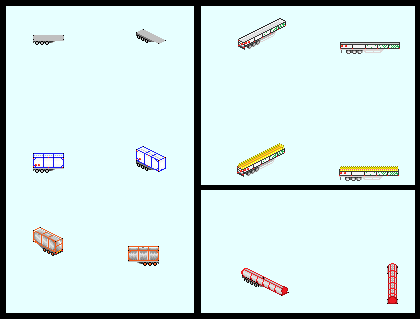 I use a website on the internet called "Model paint database". Load a picture from you desktop or directly from the web (rightclick on a picture, copy picture webadress), click somewhere in the picture and then the HEX value of that pixel, or those pixels, will appear. Copy/Paste the value into GIMP or whatever paintprogram and voila! I use it frequently and has become musthave tool for me. Save it as a bookmark and its fast and easily accesible. I changed the image somewhat. 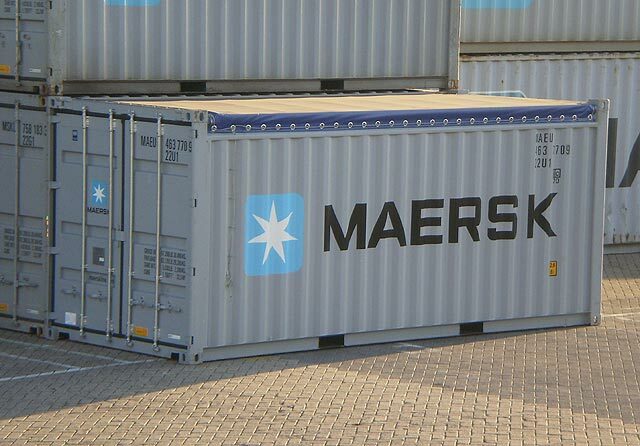 The original render had the Maersk logo waffled along the ribbed container siding, which, while accurate, does give a distorted effect. You see this same distorted effect on a real container when looking from the same angle. I placed a flat logo plane on the side so that the logo read more clearly. Very nice, although I was looking forward seeing Sheldon's version. Of course Looking at the pixel pattern from the render may give some ideas on how to construct the letters. It's really hard to make small font letters at an angle. 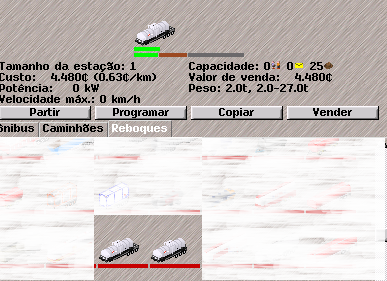 I am having difficulty changing the brightness with the trailer, it seems that it is more difficult to do it with vehicles. But I will continue with attempts. Yes, it's a lot of work to do the lyrics, I had to see on several pictures the angle he needed. there is! and excellent work! and new trailer for fuel. Ooh, those are particularly nice. I like all of this stuff, for sure! Anyone know how to do a double trailer trucks? I have done the png, but do not know how the DAT. In the game, two trailers is not selected, only one. Hello everyone! First, I wanted to apologize for the delay in posting again, my social life is very hectic! I made another new trailer is a trailer fuel (gasoline) Shell company. new paintings set of real companies. 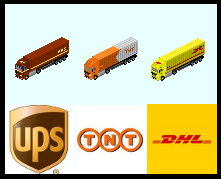 1) TNT and DHL semis look like they are not shaded, their eastern side is almost as bright as southern and upper sides, though trailers have right colors. Nice work Will try in my game! 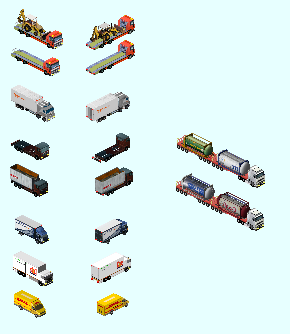 Trailer & truck package from europe, 1.0 First version. Thank you so much for creating trucks for pak128. 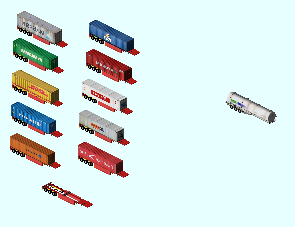 When I saw your DHL trucks, I thought it would be great to load your DHL, UPS and TNT trucks on a rail-car. 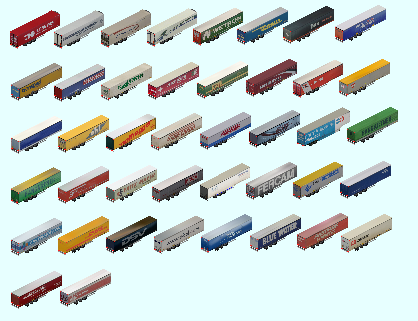 For realism reasons, only the trailers should be loaded, however, I don't care about realism so I'd try to load the whole truck or only the trailer on the rail-car and the the one that looks better. Would you like to create such a rail car or provide the images of your mail trucks so I can create such a car? I'd also create a player-color version of it. so you made these trailers? Why did sheldon_cooper publish these? Now I'm confused. 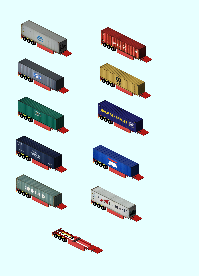 Not all of them, only the yellow one - which was then obviously used as a model for the other two trailers. Look like he only put his signature under my work. Here you can see the original yellow trailer made by me 7 years ago. It does not matter that much to me, it is just an unspoken rule to leave also the signature of the original author. I'll use it to create some DHL mail train-car if it's fine for you. For sure I won't drop your name from the author field. I'm about to do a new painting, that made by me, from the DHL trailer as well for email, to pull two "double" trailer, this painting will be original mine. 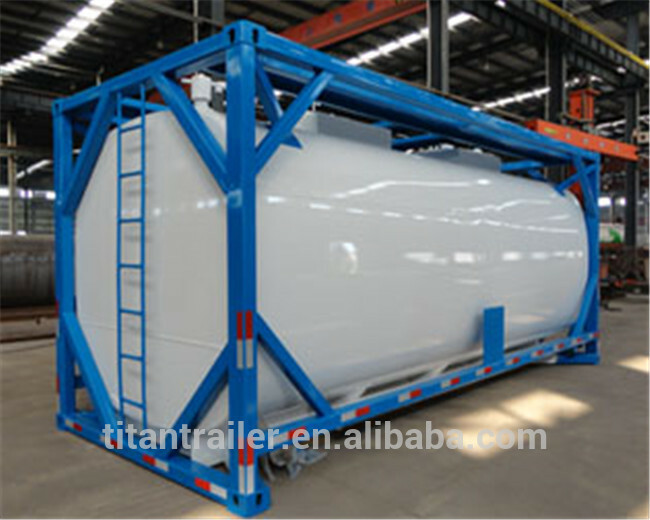 Hello everyone, a new fuel truck-trailer is available. I hope you like it! Looks impressive, did you make that after a real truck ? I tried to make the most similar, but the colors were not compatible with the 128 pixel zoom, so I modified the paint, for a stronger color. This is the original truck. Hello everyone! 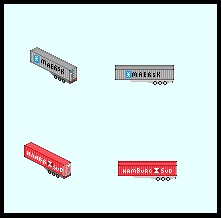 I've been a long time without posting but I'm back to bring in more container trailer addons. This is the second part I've been doing over the years. I made 10 trailers, 7 pallets, 1 car and 2 frozen ones. And I also added a trailer for liquid food. Hope you like it! It will still have more things, wait. Hello everyone!! I am making available the second part of real companies of the 40ft container, it is still in my hands to make a 20ft container, but it will take a while. There are another 10 containers, 8 of products (palett) and 2 for frozen cargo.